MoJo Promotions provide a superb selection of personalised barrel products, all made to be custom printed with your logo. Barrel Products provide a first class way to display your brand. The fun and practical features held by personalised barrel products is ensured to ensure your advertising intents are met. 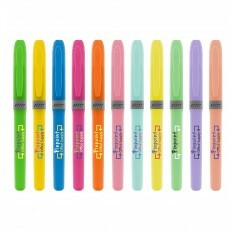 Our variety includes - BIC Brite Liner Grip Highlighters to mention but a few. All of our products can be printed to suit your needs, please contact us for more information. You can rely upon this sturdy BIC Brite Liner Grip Highlighter for all of your..